After an extended break the Super Sedans returned to MMS with nine cars fronting for competition but the night belonged to Paul Blenkiron who emerged undefeated on the night. Whyalla racer Michael Brown proved to be his toughest competition as he led the opening seven laps of the 20-lap finale before Blenkiron rounded him up. Brown would go on to finish second ahead of Mick Brougham, Kym Jury, Jason Gantz, Adrian Wright, Robert Uren and Kym Cottrell. Car owners Rob Stevens and Jenny Lemar must be acknowledged for their support of the category providing the cars for Brougham, Wright and Uren and they were only hours away from finishing a fourth car to compete on the night but you can expect that car to be on track at the next event. 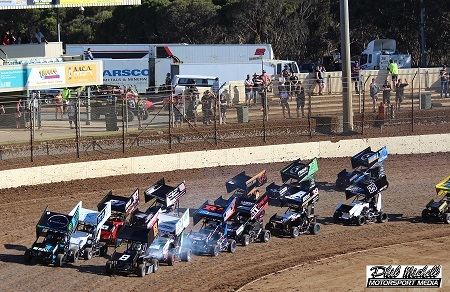 The Formula 500’s produced the best action of the night with the field being bolstered on the night by an additional three cars taking the field to 14 and it was one of the late nominations who emerged victorious. Whyalla resident Angelo Karoussis, who was coming off a win at the previous round of the series, dominated the 20 lap final resetting the track record in the process. Second place went to an impressive Dean Cottrell with Brendan Zadow, Richard Schmidt and Corey Jones rounding out the top 5. Adelaide Hills racer Chris Pinchbeck was next best while the top 10 was completed by Ross Miller, Lockie Cates, Cruse Pengilly and Austin McDonald. Chris Ferguson also wrote his name into the MMS record books as he reset the 12 lap Modlite track record on his way to has maiden Murray Bridge feature event win as he ended Brook Alexander’s winning streak, with Alexander having to settle for the runner-up spot. Michael Cowland finished in third with Graham Knuckey, Justin Chadwick, Brian Chadwick and Patrick Hewitt complting the finishers. Lochie Gwynne defeated Kelsey Allen and Jake Armstrong in the AMCA Nationals while Carey Weston defeated Nigel Reichstein, Bryan Brown, Shaun McClure and Jamie Owens in the Street Stock Feature. The Street Stock feature was a little different to most finales with the opening 10 laps being run in the anti-clockwise direction before the field was turned around for the remaining 10 laps. 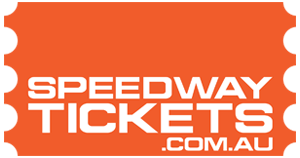 After winning the week prior at the Sunline Speedway Drew Flatman continued his recent form as defeated Sharni Pitcher, Chelsea Gwynne, Callum Crossing and Nate “Nugs” Trewin in the Junior Sedans.